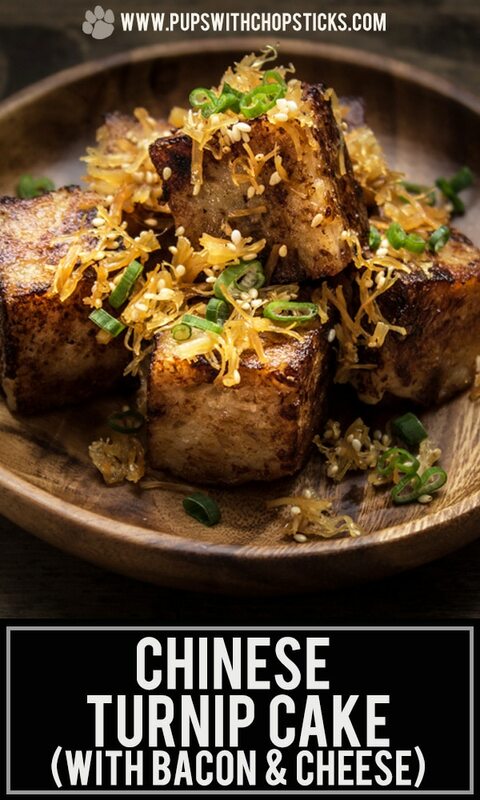 A traditional turnip cake with a twist! 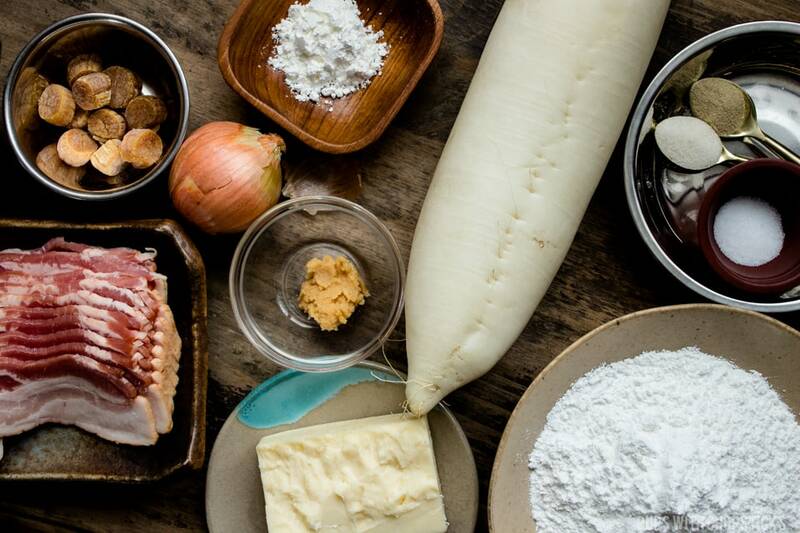 This Chinese turnip cake’s traditional ingredients have been switched up with bacon, aged cheddar, caramelized onions and dried scallops for a creamier, and more full flavored turnip cake! These are some serious mini flavour bombs! It’s almost Chinese New Year, and every year I go hog wild stuffing my face with turnip cake during this time of year. This year I decided to break tradition a bit and tweak my turnip cake recipe to a more non traditional way of enjoying it. Don’t get me wrong, the traditional recipe is great (and technically it is still the traditional turnip cake) but every now and then it’s nice to switch up the ingredients to try something different! I know, I know. I was skeptical about the cheese in this recipe too but you know me, and I couldn’t resist doing it and it was honestly fantastic (just make sure you are using flavorful old cheddar cheese) – so there you go, I took the leap and did it so you guys didn’t have to and I’m telling you – cheese is the way to go with this. 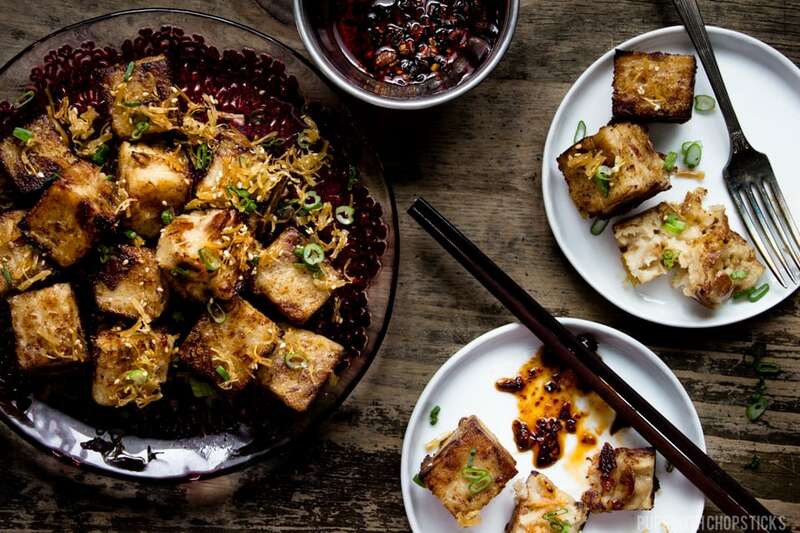 For this turnip cake recipe, most ingredients can be found at an Asian grocery store. The turnips (aka daikon radish) I buy are usually between 900g to 1kg. Not all stores have a scale to use so I gauge the size to be approximately 10 inches long and 3 inches wide. Make sure the turnip (daikon radish) is firm and not soft and bendy. The more firm the turnip is, the more water it contains. When you are buying rice flour, make sure you are buying rice flour and not glutinous rice flour. Rice flour usually comes in a clear packaging with red writing. Glutinous rice flour comes in a clear packaging with green writing. We want the plain rice flour with the red writing. For the cheese, I like using aged sharp cheddar. I find sharp old cheddar give a really nice salty full flavorness to it that gives the cake a umami flavour. It also melts into the cake and gives it a creamy texture, instead of a stretchy cheesiness which is not what we are aiming for. For the bacon, you can use pretty much any kind, even pancetta if you are feeling really fancy. Dried scallops give this cake a nice seafood flavour, but it can be expensive to buy so it is a completely optional ingredient. The only thing you will miss out on if you skip on this is the seafood-y base flavour. If you are using dried scallops, you need to reconstitute it back with hot water. (It takes a while so start this right away) Try to use a smaller bowl so you can use less water but make sure that the scallops are covered with the water. Peel the turnip and remove the ends. Then cut it into half or thirds so it is easier to work with. Whenever you cut any type of cylindrical shape veggie, always try to cut them in half so it sits on the cutting board flat side down, so it doesn’t roll around while you’re cutting it. 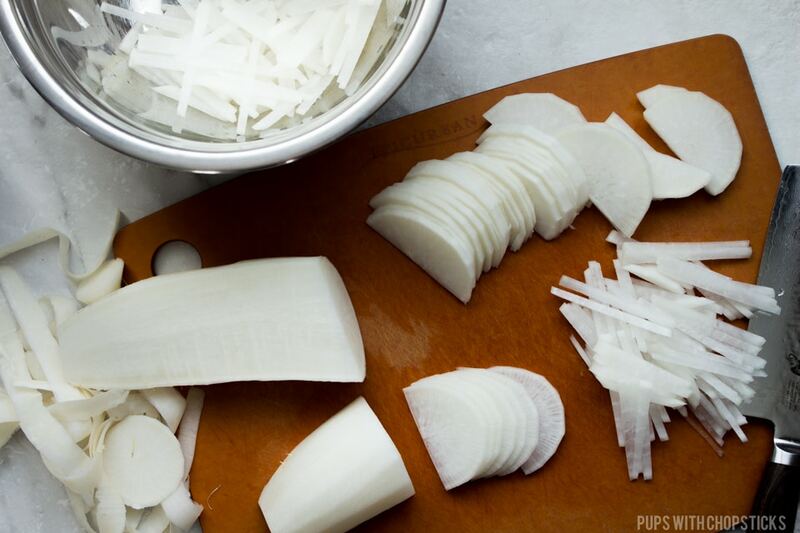 Slice the turnip into 2 mm slices, and then stack them 3-4 slices high and cut across to make 2 mm matchsticks. I like to cut my turnip to 2mm match stick slivers. It gives a bit of substance to the cake but not giant big chunks. I prefer manually cutting them over grating it because I find you have a bit more control of the size of the matchsticks, and I personally think its faster as well. 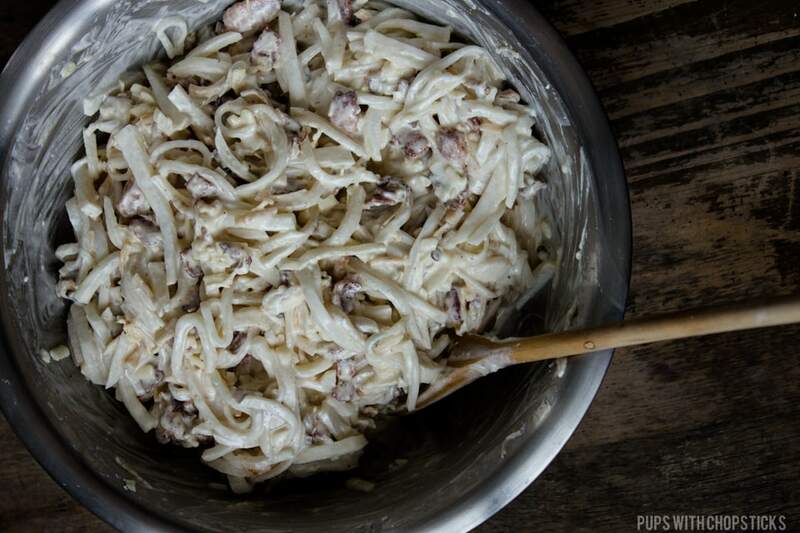 After you are done preparing the turnip, we need to wait for the water to draw out so I like to use this time to grate the cheese and brown the bacon and onions in a frying pan. *Note* Before we start making the batter, make sure that the turnip has had enough time to soften and draw out at least 1 cup of turnip water. In a large bowl, mix the rice flour, corn starch, white pepper, and sugar together. The water will come from 3 sources. Add 1 cup of the turnip water. 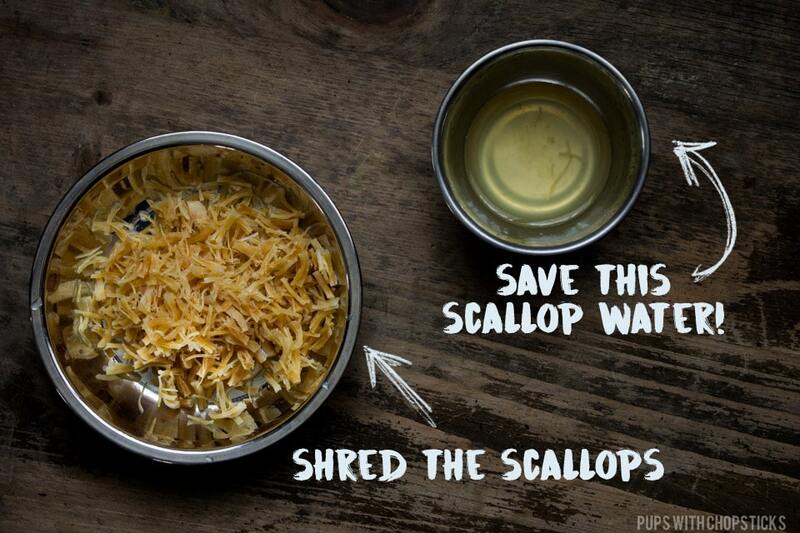 You should also have a little bit less than 1/4 cup of scallop water if you are using scallops, add that in as well. Lastly, mix the miso with 1/4 cup of hot water and melt the miso down, then add it into the bowl as well and mix everything very well until there are no lumps. The texture of the batter should be almost like a pancake batter. Run your finger along the batter on a coated spoon, it should leave a defined strip. If it is too watery, add rice flour, 1 tablespoon at a time until it is a bit thicker. 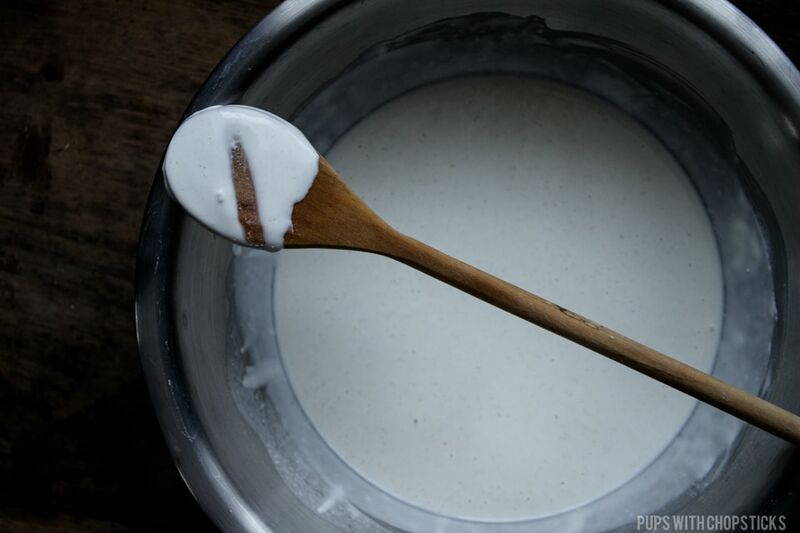 If it is too thick, add in water, 1 tablespoon at a time until it is slightly less thick. It is very important to oil the pans you are using to steam the turnip cake so it doesn’t get stuck to the bottom after it is cooked. I personally like to line the bottom of my pans with a circular parchment paper and oil the sides so there is no chance of it ever sticking to the bottoms just to be safe. Once the turnip cake has finished cooking, it is crucial to cool for a few hours and then completely cool it in the fridge before cutting it and frying it. The melted cheese is VERY soft right out of the steamer and needs some time to cool and harden in the fridge so that the turnip cake can hold it’s shape in the frying pan. This is honestly the hardest part for me, the waiting 🙂 but trust me on this. 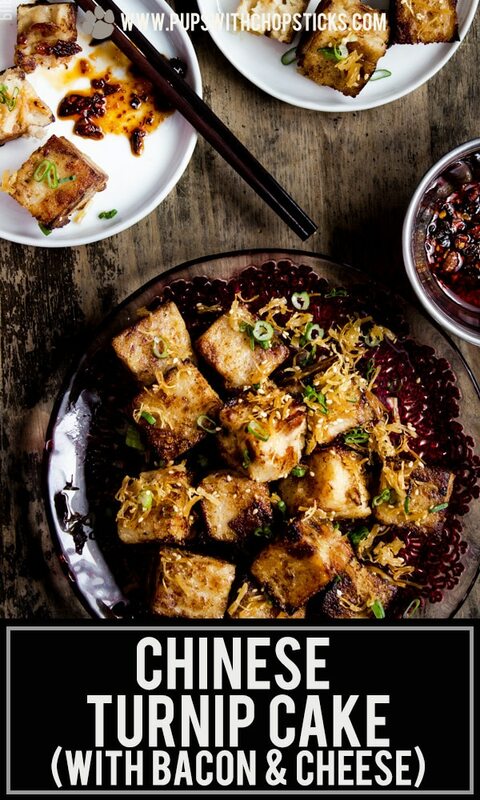 *Important* Turnip cake must refrigerated and cold before cutting else it falls apart during the pan frying step. Once the turnip cake is completely cool from the fridge, cut them up to small pieces and pan fry them! I like to cut them into 2 cm cubes and fry them up that way. I find they have more surface area to crisp up and brown that way and it also makes it much easier to eat as well. 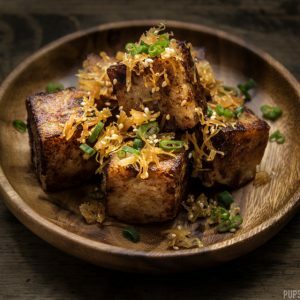 A traditional turnip cake with a twist! 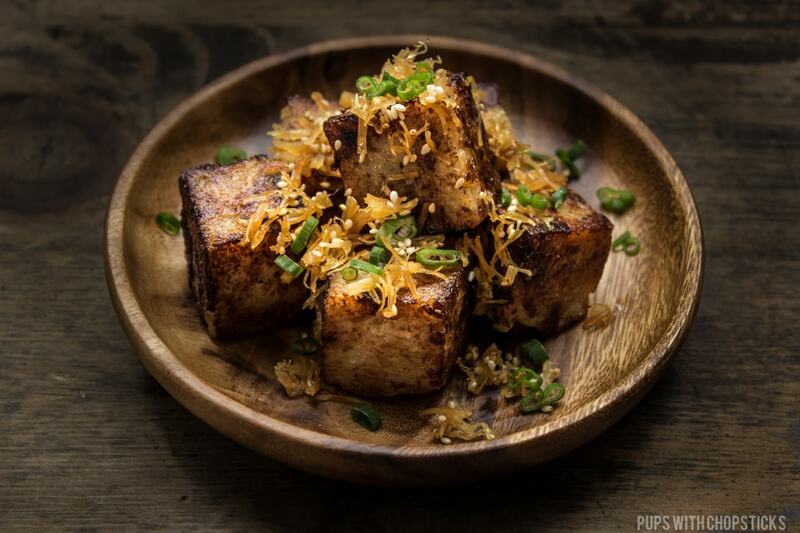 This Chinese turnip cake’s traditional ingredients have been switched up with bacon, aged cheddar, caramelized onions and dried scallops for a creamier, and more full flavoured turnip cake! These are some serious mini flavour bombs! (Optional if you are using dried scallops) Add the dried scallops in a small bowl and cover it with 1/4 cup of hot water. Make sure the scallops are fully immersed in the hot water. Keep it covered to ‘steam’ in the bowl for at least 30 minutes or until soft. Peel and remove the ends of the turnip. Cut the turnip into half or thirds to make it easier to cut. Cut the smaller pieces in half lengthwise so that it can sit flat side down on the cutting board so it doesn’t roll around while you are cutting it. 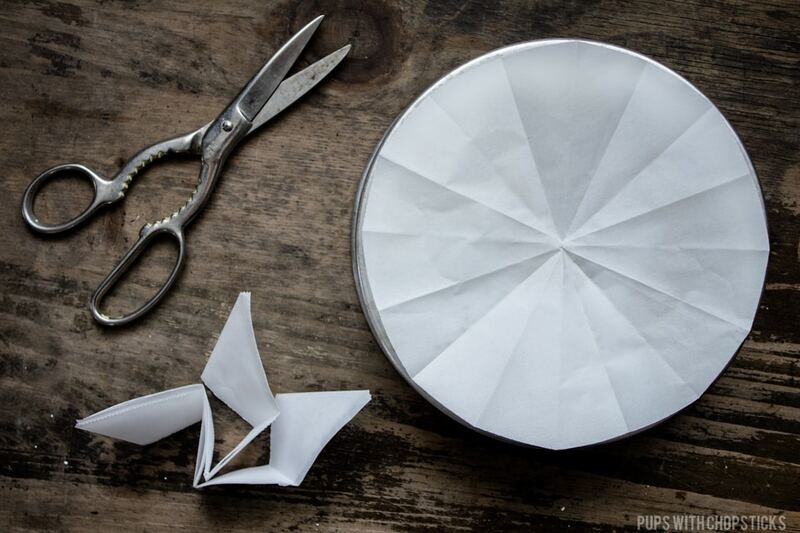 Cut them into thin 2mm slices and the stack them 3-4 slices high and cut across into 2mm matchsticks. 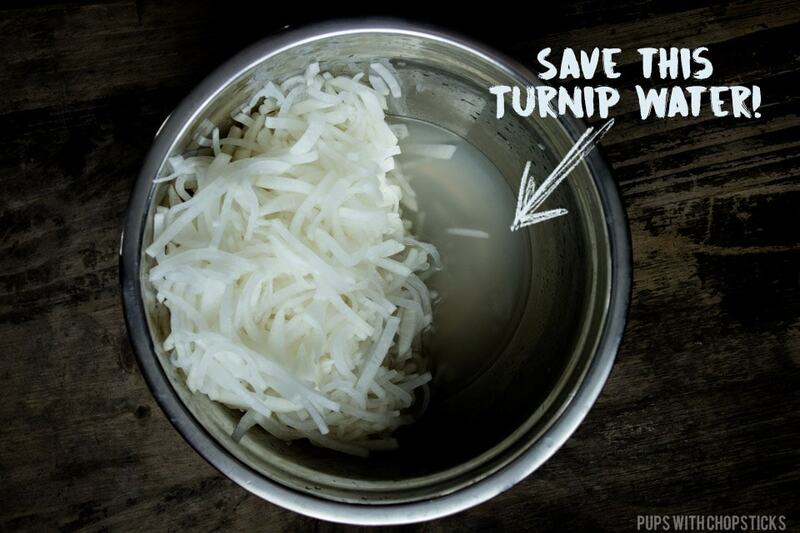 Once the turnip has all been cut, add it to a bowl and add 1 teaspoon of salt and massage it into the turnip. Give it a few good squeezes, you want to work the salt into the turnip to draw out the water and to soften the turnip so that it is pliable in the batter. Set the turnip aside for 20 minutes and occasionally flip the turnip and massage the salt into it. Chop up the bacon into small pieces and slice the onion into thin slices. In a frying pan set to medium heat, brown and caramelize the bacon and onion together. Once it has been browned and the onion has been caramelized, set it aside. In a large bowl, combine the rice flour, corn starch, sugar, and white pepper. (Optional) If you are using dried scallops, add in the scallop liquid as well. It should be a little less than 1/4 cup of water. Mix everything together until there are no lumps. The texture should be like a light pancake batter. If the batter is too thick, add in 1 tablespoon of water at a time and mix until it is the right consistency. If the batter is too runny, add in 1 tablespoon of rice flour at a time and mix until it is the right consistency. To check the consistency of the batter, coat the back of a spoon with it and run your finger through it. The line you create should stay intact. Oil the pan you are steaming the turnip cake in very well so that it doesn’t stick to the bottom. I like to cut out a small piece of parchment paper to place it on the bottom and oil the sides of the pan very well to make sure that the turnip cake cannot stick to the pan. Steam it in a steamer for 45 minutes to 1 hour. Once it is finished steaming, let it cool in room temperature for an hour and then put it in the fridge to let it fully cool before removing it from the pan and cutting it. This is very important because the cheese makes the cake very soft and gooey when it is still warm, so you don’t want to work with it until the cheese has had a chance to harden in the fridge. 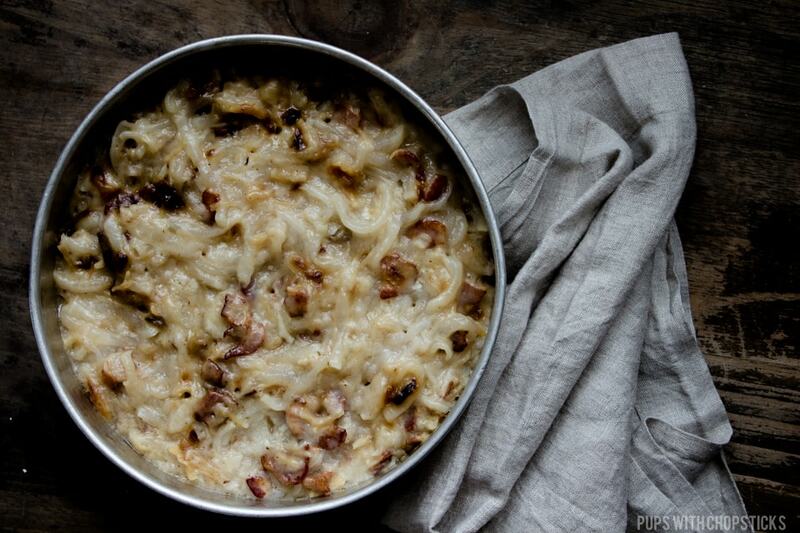 Once the turnip cake has had at least 3-4 hours to cool in the fridge remove it from the pan. You might need to run a spatula or knife around the sides of the pan. Then flip the pan upside down and wiggle it out. 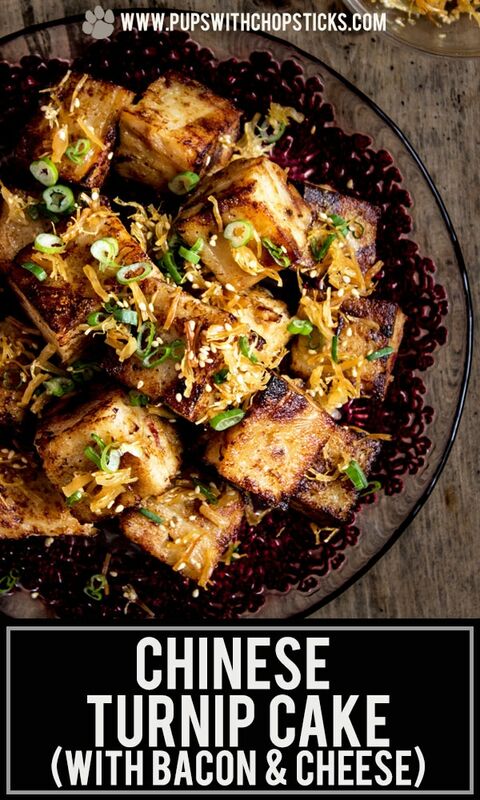 Cut the turnip cake into 2 cm cubes, and pan fry it in oil in a non-stick pan on medium heat. (If you have extra bacon fat from browning the bacon, you can use some of that as well with a bit of oil! :)) Pan fry them until they are brown and crispy. Enjoy immediately. Turnip cake tastes best when it is hot or still warm. IMPORTANT : You must make sure the turnip cake has been cooled in the fridge and and the cheese has had enough time to solidify before cutting it so that the turnip cake can hold it’s shape in the frying pan. This Turnip Cake (Lo Bak Go) is always my favourite food. I usually buy, or some of my friends gave me. But now, i can use your recipe to do it my myself. I like you added dried scallop which make this dish more enhancing and tasty. Thank you. Incredible…really is a more creative dish till now, I really enjoyed your recipe. These looks soooo good & more delicious, I will try to making this dish in some few days. 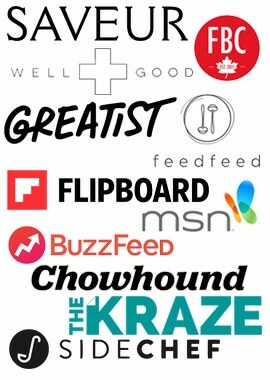 Thanks for sharing…keep shared your new ideas with delicious recipes……! Woohoo! I am so happy you enjoy my recipes and ideas – especially since they can be so far from the traditional path! haha! 🙂 Hope you enjoy it! Love that it’s such a creative dish! Definitely love that you included step images for this recipe! 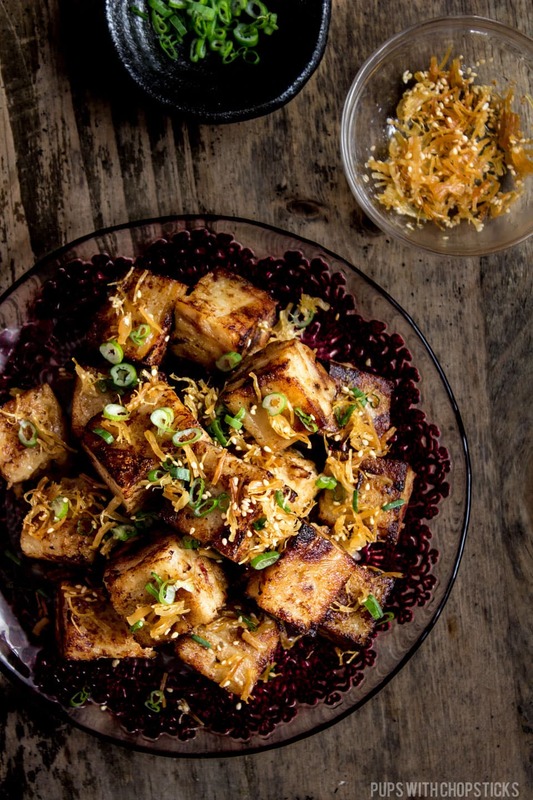 I have always wanted to cook with turnips but never had a good recipe this one looks amazing. And the browning is just perfection. I want to try this soon! Any minor amount of skepticism I had was completely overturned when I saw the words bacon, cheddar, and caramelized onions. 🙂 You can never go wrong with those, and this is no exception! Great recipe! 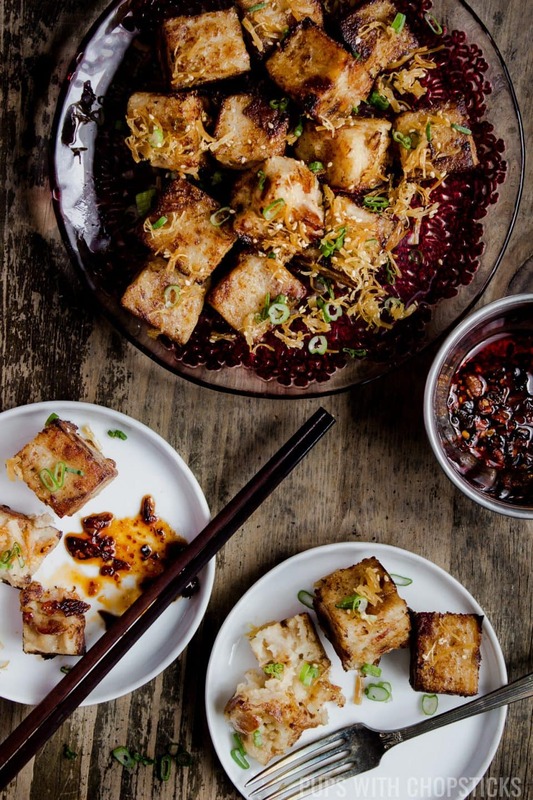 I find this recipe fascinating, as I have never heard of turnip cake. 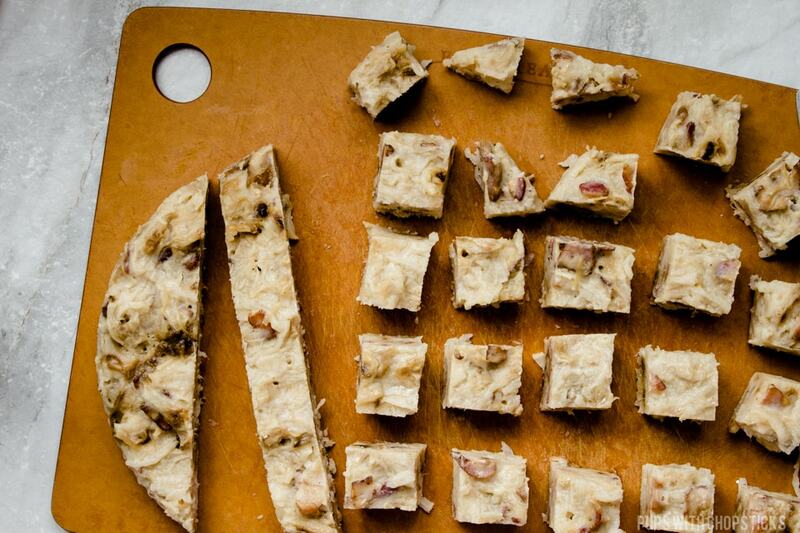 The idea of cheddar and bacon are no stranger around here though. Sounds incredibly savory! This is such a creative dish and one that I have never had! I love all the step by step photos and directions for us newbies. Looks delicious! haha I am so glad you think so, I was wondering if anyone would flame me of freak out about this but I definitely think it’s nice to sometimes switch things up as long as the core is traditional! 🙂 Gon chow ngau ho is my go to for every restaurant too!! I gauge how good a restaurant is on that dish alone haha!